The fly fishing universe is filled with mysteries. One deep, unsolvable mystery is how few calories a day of fishing burns relative to the large amount of calories consumed at the Supper Club or steak house later in the day. The mysteries are dense. Virtually impenetrable. But in this episode, we peer behind the curtain, identify a handful of new mysteries, and attempt to solve the unsolvable. 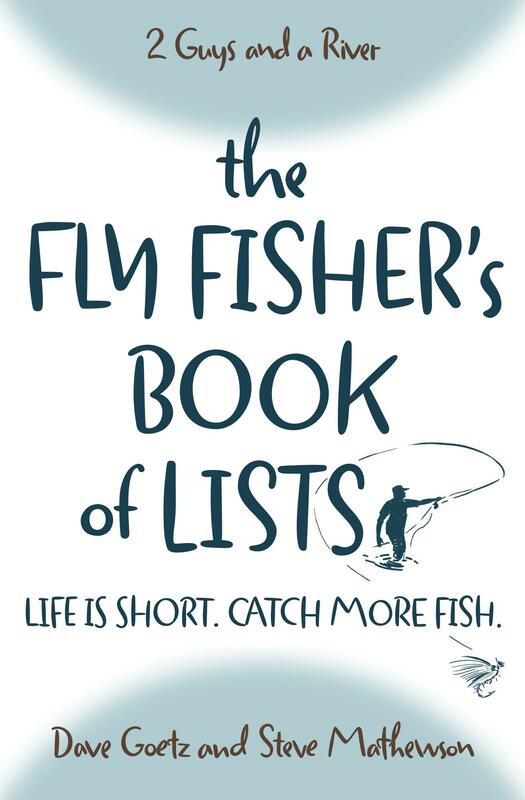 Surely you’ve come across some fly fishing or outdoors mysteries. Please post your new mysteries below! Visit Dr. Squatch Outdoor Soap for Guys, fill your shopping cart with great outdoor products, and enter “2Guys” as the promo code. You’ll receive 20% off! Be sure to forward our weekly email to your network! After a rather lackluster season for me due to nearly constant rain locally I was counting on some travel to salve the disappointment. In the Smoky Mountains, however, for the first time in memory I forgot to leave my wallet in the car and promptly waded in too confidently. Of course, this was the only time this season I tried fishing by total submersion. It didn’t work and I had to lay out every card and bit of currency overnight hoping they would be usable in the morning. In Vermont when I squeezed in a bit of fly fishing on a family vacation a downpour hit me as soon as I was beginning for find some rising trout. While not of Biblical proportions, it certainly soaked me thoroughly and ended the trip. Both of these days were fishless. The mystery for me is why am I no less passionate about fly fishing and remain eagerly willing to wade into next bright water I find.